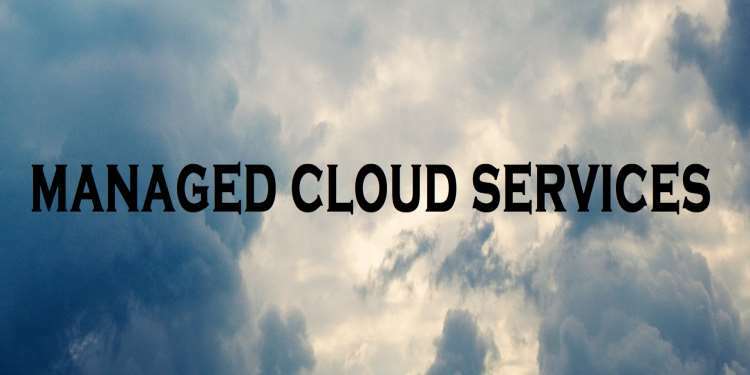 Cloud services is a service provided for users by a cloud service provider in which the users can store information on a server through the internet instead of the company (user) having its own server. Instead of a company to have its own server or data center, they may decide to rent storage from a cloud service provider. The data stored is managed, maintained and backup routinely. The hardware and software for storage of data are provided by the cloud service provider. They are not relevant to the user who will access the server. When a user or an organization perform computing functions on a system that is located on the internet, it is known as ‘cloud computing’. Some examples of cloud services are email services, database processing, data storage etc. Many a time, you might have done cloud computing and you may not know. For instance, if you have a Gmail account, and then decide to store some important files, music, pictures and so on, you have used cloud computing. You have stored your files in a cloud. The Gmail account is connected to a server, once you save any information to your account, it stores on the server and this is done through the internet. Therefore, that Gmail account has provided you with cloud service. If you are using a Gmail account, yahoo account, Facebook, Instagram or you access a website on the internet, they are all part of cloud computing. Cloud computing is not a new term. It has been around since the 1900s when computer bureaus allow companies to rent time on a mainframe instead of the companies buying one. Back in the 1900s, ADP Payroll Services used cloud computing. This firm signed up companies to take the recurring task of cutting checks out of businesses’ hands and automated it using the web. Cloud services have been a source of help to many small business enterprises. These small businesses may not be able to set up a server and, also pay IT personnel to help run and maintain it, but with the cloud service, these small businesses could save all their information on the cloud. All they need to do is to pay for the service provided. They don’t bother about buying servers, updating applications, and operating systems. Even some individuals use the cloud to promote their business. For example, a software programmer could do a cloud freelancing that is, if the programmer does freelance programming jobs he will need the internet for other people perhaps potential customers to see it. The cloud is a source of receiving information. Information is available to people through cloud computing. Some of this information has been an eye-opener for many people. News from one part of the world can be seen or heard in other parts of the world through cloud computing. Cloud service is not limited to just manage the storage and accessibility of the company’s information. They can also offer other services such as supplying companies with software that they need via the web. Business owners don’t need to worry about updating their software regularly neither do they worry about their business security. Cloud services update the software in a routine manner and, also take control of the security by backing up the company’s information on a regular basis without involving the business owners. Also, cloud services are more secured as they can afford to employ and pay expensive IT personnel and other resources needed to ensure proper security. Another thing you may not know about managed cloud service is that employees of a certain company can work together and consult each other from any location. The company data can be linked to any of the employee’s technical device and it will routinely sync the information on its own, so they don’t have to worry about saving the documents. Employees of a company in different locations don’t need to travel down for a business meeting. Through cloud computing, they can talk to each other or view the same document at the same time. Just as anything that has advantages also has disadvantages, cloud services also have its own demerits. A company that has its personal data stored in the cloud cannot access the physical IT infrastructure. Although users have control over cloud services, they cannot have access to the IT infrastructure. This is done mostly for security reasons, as data is safer with cloud service provider than with other users to avoid leakage of information. IT department of a company should understand their responsibilities and the responsibilities of the cloud service provider. They should know the provider’s level of support and, also know their own role to play. What you should also know about cloud service is that they sometimes face the problem of downtime. As cloud computing is based on the internet, service outage may occur anytime. If it happens to a company, it is a big disadvantage to that company. Although a company may be able to battle this problem by implementing a disaster recovery plan in line with their business. Another demerit is that cloud services are vulnerable to attack. They may suffer severe attacks and security breaches because cloud computing is run as a public service. A company can deal with this by making sure that they are up to date with cloud security best practices. Security should be the major aspect of all IT operations. Cloud services could be expensive especially if it is a short-term project. Pay-as-you-go services are more flexible and easier to manage, but at times could be more expensive. Although, a business firm or company could check out different offers to know what suits them best or they could create alerts to track cloud spending. Many organizations are benefitting from the service that the cloud offers today. Cloud services have come to stay, and it will remain because if we weigh both the merits and demerits, the merits of cloud service seem to gain the upper hand and the demerits can be dealt with. Before one can embark on using the cloud service, one has to do homework on cloud services, one has to be sure that cloud services suit his needs, not because everyone is doing it, but because that is what they need.